The Untold Truth About Building A Startup is a must read if you are interested in learning how to build a startup the right way and avoid some costly common mistakes along your path to success. This book cuts to the chase, removes the fluff and gets right to what you need to know about setting up and growing your startup. The truth is finally revealed about what it really takes to build a startup; these are the lessons that most experienced entrepreneurs know but never share…until now. Join me as I show you how to tackle and overcome real life challenges that every business owner faces. 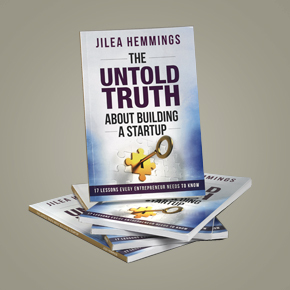 After reading The Untold Truth About Building A Startup you will know how to avoid falling into the “80% of businesses that fail” category and move into the “20% that succeeded”!